Weight loss and catabolic changes are increasingly recognized as factors that influence outcomes in patients with amyotrophic lateral sclerosis (ALS). 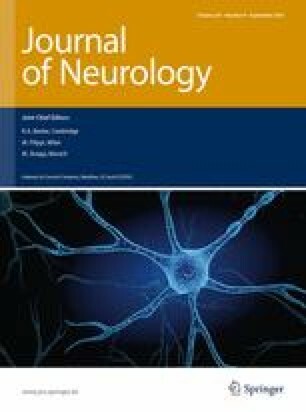 An association between disease progression and low BMI has been reported in ALS; however, it remains unknown whether low BMI occurs across all forms of ALS and whether BMI changes with the development of cognitive impairment across the spectrum between ALS and frontotemporal dementia (FTD). One hundred and three ALS patients (56 limb predominant, 18 bulbar predominant, 13 ALS plus, 16 ALSFTD) were recruited and compared to 19 behavioral variant FTD (bvFTD) patients and a group of age-matched healthy controls. BMI was measured at the initial clinical visit. Patients were characterized as underweight, normal, overweight or obese, based on the current World Health Organization (WHO) guidelines. Limb and bulbar ALS patients had significantly lower BMI than ALS plus, ALSFTD, and bvFTD patient groups. When BMI was categorized using WHO guidelines the majority of the limb and bulbar ALS patients were either underweight or normal weight, whilst the majority of the ALS plus, ALSFTD and bvFTD patients were either overweight or obese. On follow-up BMI assessment the limb and bulbar groups tended to decline whilst ALS plus, ALSFTD and bvFTD groups remained stable or increased. BMI is significantly higher in ALS individuals with cognitive deficits. The present findings have prognostic implications for disease progression and may help delineate the metabolic profile across the ALSFTD spectrum. The authors would like to acknowledge Heidi Cartwright for assistance with preparation of the figures. This work was supported by funding to ForeFront, a collaborative research group dedicated to the study of frontotemporal dementia and motor neurone disease, from the National Health and Medical Research Council (NHMRC) of Australia program grant (#1037746) and the Australian Research Council Centre of Excellence in Cognition and its Disorders Memory Node (CE110001021), and an NHMRC project grant (APP1003139); a Royal Australasian College of Physicians scholarship and Motor Neuron disease Association of Australia scholarship to RA; an ARC Federation Fellowship (FF0776229 to JRH); and an NHMRC of Australia Career Development Fellowship (APP1022684 to OP). We are grateful to the research participants involved with the ForeFront research studies. No author reports any competing interests.